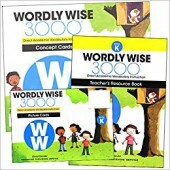 These delightful picture-word books make it easy for young readers to learn new words. 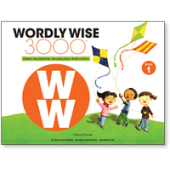 Series: First Thousand Words Offers a wide range of learning opportunities from early reading and spelling to dictionary use. Foreign language editions include dictionaries and phonetic pronunciation guides; some have online pronunciation guides and internet links. 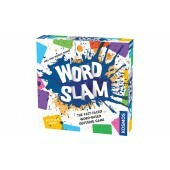 In Word Slam, two teams each have a storyteller. The two storytellers are given the same answer term. Playing at the same time, they must give clues to their teams so the teams can correctly guess the answer. And they must do this quickly, because they are racing the timer and each other. But it’s not that easy. Speaking and acting is absolutely forbidden for the storytellers! 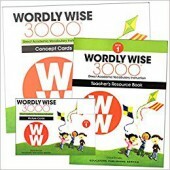 They must tell their stories using only 105 cards, each with one word on it: a noun, verb, adjective, or preposition. 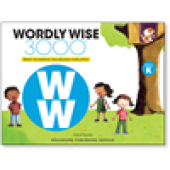 The storyteller must be creative in using this limited vocabulary to tell the story. And the team members must think quickly and nimbly to interpret the story cards. The team that correctly guesses the answer first gets a point, and the team with the most points at the end of the game wins. 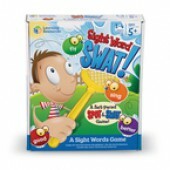 It’s like charades, but instead of acting, you can only communicate with word cards! Student book #7882 sold separately. 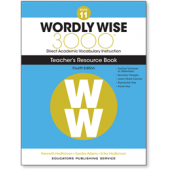 The Teacher Resource Book includes vocabulary activities, reproducible tests, answer keys, teaching techniques for differentiation, and secondary passages. Student Book sold separately Item # 7917. 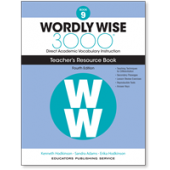 Student Book sold separately Item # 7910. Student Book sold separately Item # 7911. Student Book sold separately Item # 7907. 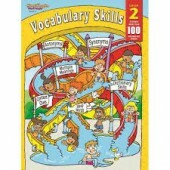 Student Book sold separately Item # 7904. Student Book sold separately Item # 7898. The Teacher Resource Books include vocabulary activities, reproducible tests, answer keys, teaching techniques for differentiation, and secondary passages. 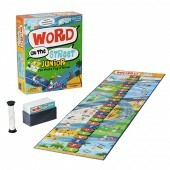 Children will love learning their letters and making simple words with this set. 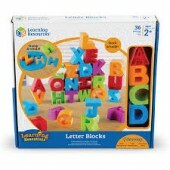 The blocks feature flat fronts and open backs, perfect for use as letter molds. 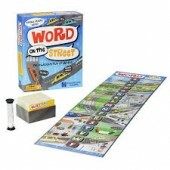 Comes with 2 sets of vowels (red), extra consonants for word building, and a storage bag. Blocks measure 2”L x 2”H.